Saturday 29 April 9 OCs with some wives gathered at Barford Warwickshire – this is an annual ‘at-home’ event hosted by Sheila, wife of late Bobby Reed (R 41-46) – continues to his memory. We believe this simple way to refresh our fraternal acquaintance and rekindle fond memories – this practice helps restore the Spirit of BCS. The photo taken at the entrance of Watchbury Cottage of 9 OCs. Stringer ii (Lefroy 43-47) Peter Johans (I 44-48) Raj Lamba (L 49-59) Bambi SK Majumdar (53 – 59). We enjoyed a dining-room full lunch after drinks & starters (samosas) in the vine covered conservatory where the girls dined – and thank you Sheila & daughter Jancis for your kind warm hospitality. The afternoon is consigned to another nostalgic memory of innocent schoolboy camaraderie as count down the days for the 24 June OCA (UK) Reunion. This entry was posted in Events, Post and tagged Bambi SK Majumda, Bobby Reed, Daljit Singh Jaijee, Gay Niblett, Joginder Chahal, John Phillips, Lance Jones, Networking OCs, OCA UK, Peter A Stringer, Peter Johans, Raj Lamba, Sheila Reed, UK on May 14, 2017 by admin. Thank you for all your information, keeping us up-to-date with the various Chapters in India. It is good to hear how well they are flourishing, keeping the spirit of BCS burning strong. I am adding two reports from Peter Stringer, now retired, long-standing Hon. Secretary and myself. Please keep the information flowing. Both the old and new OCs treasure all the news. On a lovely summers day there was a healthy gathering of OCs, at the Bombay Brasserie, where a spirit of change and renewal filled the air. Chairman Kuljinder Bahia, had prepared a surprise for us all. He had invited one of his old teachers from BCS as a special guest – the diminutive but beautifully spoken Hindi teacher – Mr V S Bhardwaj. Mr Bhardwaj gave – without notes – an eloquent and emotional speech, which brought tears to the eyes of many of the young – and old OCs. He spoke of his humble beginnings – chiming with India’s new Prime Minister – and his gratitude to BCS for accepting him and teachers and pupils alike – taking him to their hearts. He stressed his pride in being a Member of the BCS teaching staff and his undying loyalty to the School. He then read a letter of greetings from the Headmaster, Mr R C Robinson – who had encouraged him to accept the invitation to be with the OCA (UK). This was a “first” in the ongoing exchange of pupils and (soon, we hope, Masters) between BCS and Marlborough College. We have had pupils from the two schools visiting their opposite numbers. This visit by a BCS teacher, will, we hope be the precursor to the BCS Headmaster’s visit next year to Marlborough College, where a Memorandum of Agreement will be signed by the two Heads to layout a permanent future plan for the exchange of pupils and teachers between the two schools. A reduction the costs of visas between the two countries would certainly help! The other surprise, was also a “first” – a short, speech by Peter Stringer – our retired but still very active, Hon. Secretary, who, earlier, with his wife Maggie, had held their last pre-Annual OCA lunch party at their home. We are all going to miss this wonderful informal gathering. However, Sheila Reed, widow of Bob Reed, continues, with the help of her lovely family, to hold her annual luncheon party at her home, at the beginning of May. 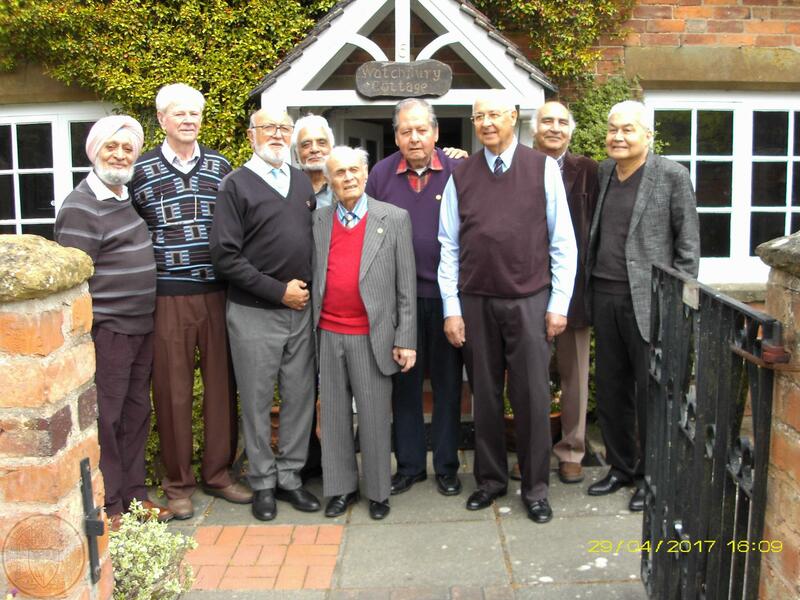 Peter Stringer, writes of the many old boys who attended, along with visitors and the joyous spirit of the young boys, who in increasing members, are attending under the encouragement of the new Chairman, and the Committee of Gursant Sandhu, Treasurer Puneet Singh, Vijay Bhailak and old stalwart Raj Lamba. A big thank you as well to all the OCs who travelled from India to attend – wish that, more of us older members could reciprocate! Peter Johans and wife also travelled over from Switzerland! This entry was posted in Events, News, Post, Spot Light and tagged 2014, Gay Niblett, OCA UK, Peter A Stringer on July 15, 2014 by admin. 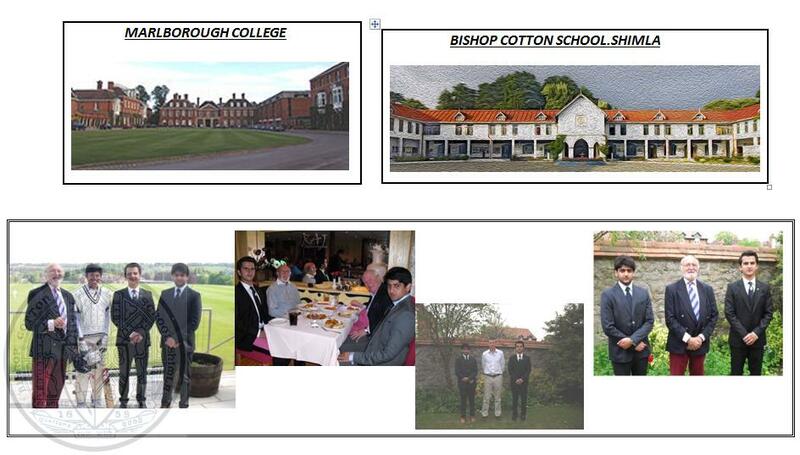 A milestone was reached on Sunday 5 May 2013 when the first two BCS boys on a Student Exchange Programme entered Marlborough College. The School Captain, Raghav Gandhi and his friend Manvendra Tomar, a Prefect of the school, arrived at Heathrow Airport at 7 a.m. that Sunday morning. They were met by John Whitmarsh-Knight, who took them to his home to await collection by taxi for their journey to Marlborough College. Mr Mark McVeigh, the College International Liaison Coordinator, saw them settled into their respective Houses for a good night’s sleep, before getting into the School routine the next day. The boys, who are wonderful ambassadors for BCS, have been shown tremendous kindness and help and been made to feel absolutely at home from the moment of their arrival. Doubtless they will have their stories to tell when their all-too-brief stay is over. I travelled over from Mallorca to see them but could not do so until the Sunday as they went on a School trip to Bristol all day on Saturday. On Sunday I was invited, with them, to the home of Mr and Mrs McVeigh for Sunday lunch. Two girls from Waterford School, South Africa, on a similar exchange programme, also joined us. After a delicious meal, we three OCs watched the Old Marlburians playing cricket. The day was completed when we went for a curry at the Raj Indian restaurant, where we were joined by Mr Martin Evans, Secretary of the Marlburian Club. On the Monday and Tuesday both boys went up to London to enjoy the experience of the ‘big city’. A few days later – on 25 May – they returned home, after a memorable time. Many people have been involved in this programme. From B.C.S., the Headmaster, Mr Roy Robinson and his able Assistant Praveen Dharma. Old Boy K.C. Anand has helped liaising between School, parents and the British High Commissioner to obtain visas and saw them onto the plane at Delhi Airport. Mr Deep C. Anand has cemented the relationship between the two schools, hosting a Reception for the Master of Marlborough College, Mr Jonathan Leigh and his wife Emma. 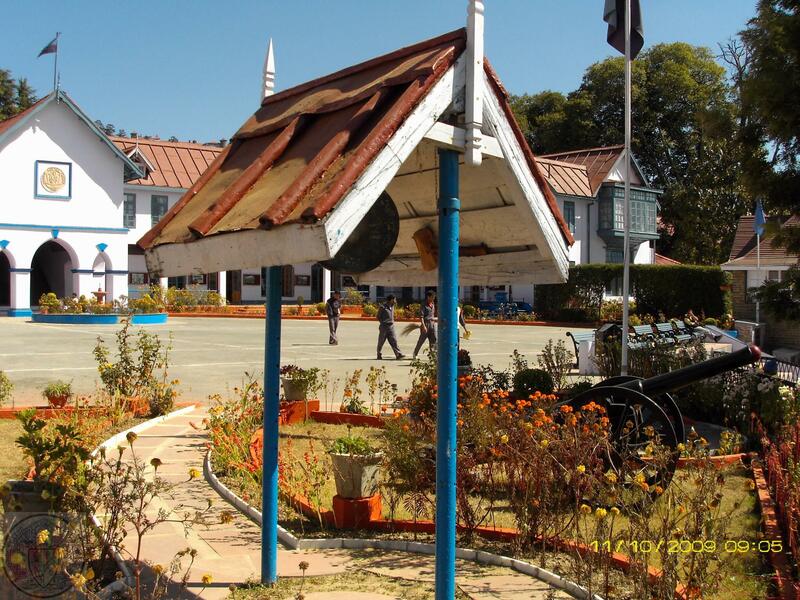 Present at the Reception, along with Old Boys and their wives, were two Marlburians on the Exchange Programme – Hugo Wilson and Sam Green – who, having been accommodated at Mr Deep C. Anand’s guest quarters in Gurgaon, were then accompanied up to Shimla for their stay at B.C.S. We hope to see them and their two predecessors from the year before – Rory Manley and Max Adams – at the OCA Lunch on 29 June at the Bombay Brasserie. From Marlborough, the newly appointed Master – Jonathan Leigh – took immediate interest and through Mr Mark McVeigh, the successor to Larry Lamont, the programme was put in place. Mr Martin Evans, Secretary of the Marlburian Club, has kept an eye on the programme and with Jane Pendry – Alumni Relations Manager- ensured that the exchange has featured in the Marlburian Magazine and Newsletter. Last but not least we are grateful to Mr John Whitmarsh-Knight, who has spent several spells in BCS teaching the boys – amongst them Raghav Gandhi and Manvendra Tomar – for his support and wonderful act of meeting the boys at the unearthly hour of 7 a.m. in London. We must now look forward to the repeat of this Exchange on a yearly basis – with longer time being spent in Marlborough and eventually the exchange of teachers being added to the programme. With our sincere thanks to all those involved for their time, effort and keen interest in the success of the exchange. This entry was posted in News, Post, Spot Light and tagged BCS, BCS News, Gay Niblett, Marlborough College, OCA UK on May 25, 2013 by admin.